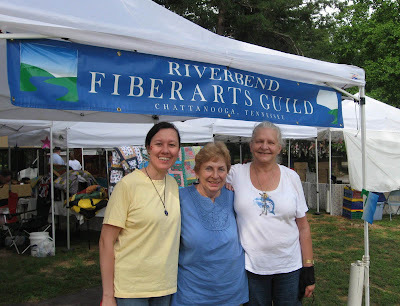 My guild, the Riverbend Fiber Arts Guild, was invited to participate in the 53rd annual Monteagle Mt. Market of Arts and Crafts last weekend. 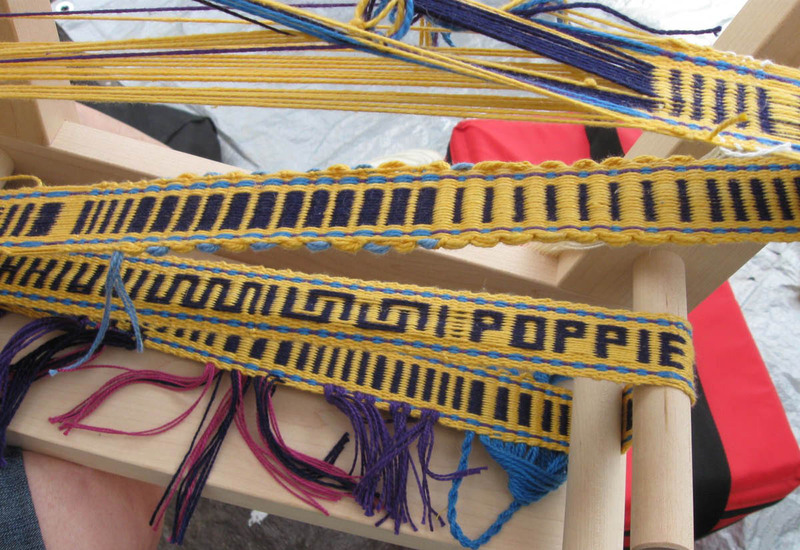 Demonstrations on knitting, hairpin lace (left), kumihimo (right) and inkle weaving. 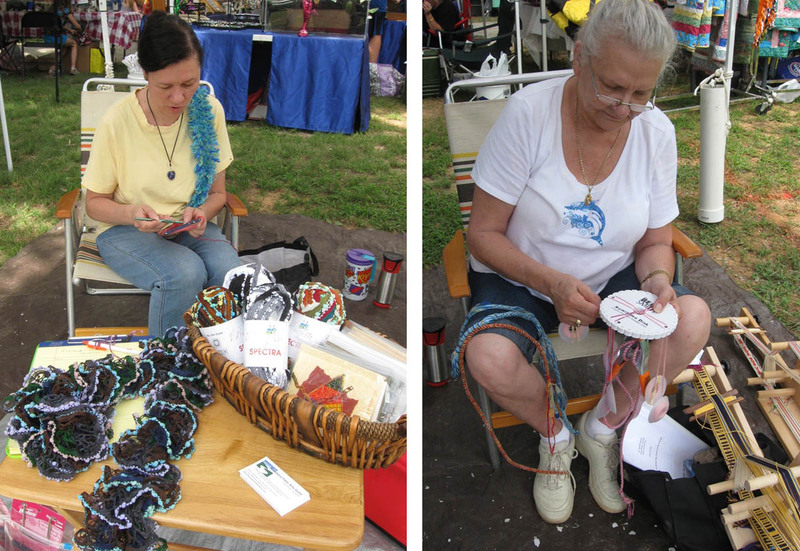 A group of guild members tended our guild tent on Saturday, and my friends Pat and Kathy and I manned it on Sunday. members of the Riverbend Fiber Arts Guild. As part of the guild's community outreach program, members provide demonstrations at different venues on various fiber art techniques to educate the community about fiber art. 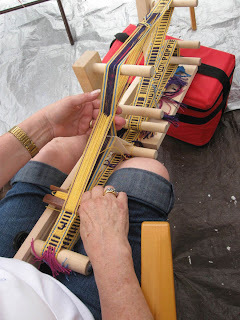 Collectively, we provided demonstrations at the Monteagle Market on spinning, inkle weaving, kumihimo, hairpin lace and knitting with self-ruffling yarn. Weaving on an inkle loom. A closeup of a name woven into an inkle band. 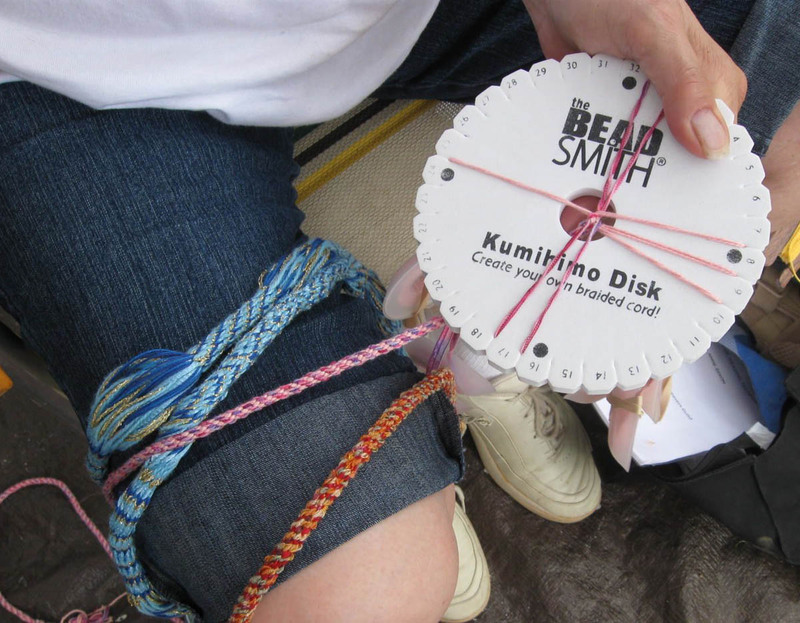 Kumihimo braid made using a circular loom. I provided the demonstrations on hairpin lace and knitting with self-ruffling yarns. 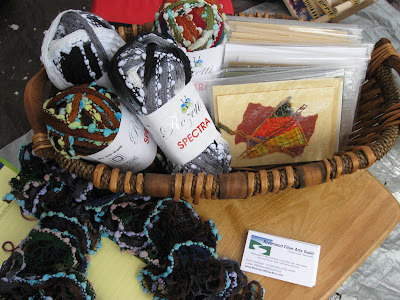 at the Riverbend Fiber Arts tent. 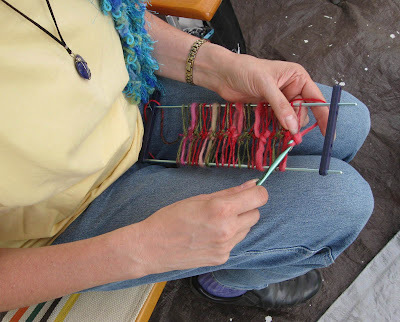 It was fun to hang out with friends, share our fondness for fiber, and work on simple projects for the pure joy of feeling the yarn and fibers between our fingers.